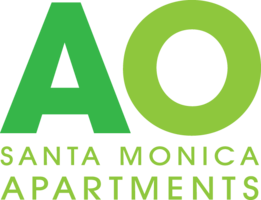 Fusing a quintessential coastal lifestyle with the urban flair of Silicon Beach, AO Santa Monica redefines luxury Los Angeles County living. Enjoy residing in an apartment community surrounded by cutting-edge employers, along with countless recreational venues, bustling shopping districts and delish eateries. Experience the surf-and-sun life at Santa Monica State Beach, a famous 3.5-mile stretch of sand and sea with a paved path for biking and running. Head to the iconic Santa Monica Pier to enjoy an open-air movie screening or twilight concert series, and then take a spin on the solar-powered Ferris wheel at Pacific Park. At the Third Street Promenade, you will find popular stores, charming cafes and theatres in a vibrant, open-air shopping center. Santa Monica’s Main Street district also offers several boutique shops, in addition to many restaurants featuring stunning terraces and breathtaking beachside dining experiences. Set up your apartment tour today.